1. UNSCEAR, 2009. United Scientific Committee on the Effects of Atomic radiation (UNSCEAR). UNSCEAR 2006 Report: Annexe E: Source-to-effects assessment for radon in homes and workplaces. New York: United Nations. 2009, pp. 195–334. 2. Krewski D., Lubin J.H., Zielinski J.M. [et al.] Residential Radon and Risk of Lung Cancer: A Combined Analysis of 7 North American Case-Control Studies. Epidemiology. 2005, Vol. 16, pp. 137–145. 3. Darby S., Hill D., Auvinen A., [et al.] Radon in homes and risk of lung cancer: collaborative analysis of individual data from 13 European case-control studies. British Medical Journal. 2005, Vol. 330, pp. 223–227. 4. Darby S., Hill D., Auvinen A. [et al.] Residential radon and lung cancer: detailed results of a collaborative analysis of individual data on 7148 subjects with lung cancer and 14208 subjects without lung cancer from 13 epidemiologic studies in Europe. Scand. J. Work, Environment and Health. 2006, Vol. 32, Supp. 1, pp. 1–83. 5. Lubin J.H., Wang Z.Y., Boice J.D. [et al.] Risk of lung cancer and residential radon in China: pooled results of two studies. Int. J. Cancer. 2004, Vol. 109, pp. 132–137. 6. Muirhead C.R. Exposure Assessment: Implications for Epidemiological Studies of Ionizing Radiation. Radiation Protection Dosimetry. 2008, Vol. 132, № 2, pp. 134–138. 7. Масюк, С.В. Влияние неопределенностей в дозах на оценку радиационных рисков / С.В.Масюк, С.В.Шкляр, А.Г. Кукуш, С.Е. Вавилов // Радиация и риск. – 2008. – Т. 17, №3. – С. 64–75. 8. Heid I.M., Kuchenhoff H., Wellmann J. [et al.] On the potential of measurement error to induce differential bias on odds ratio estimates: an example from radon epidemiology. Statist. Med. 2002, Vol. 21, pр. 3261–3278. 9. Lubin J.H., Boice Jr. J.D., Samet J.M. Errors in exposure assessment,statistical power and the interpretation of residential radon studies. Radiation Research. 1995, Vol. 144, pp. 329–341. 10. Fearn T., Hill D.C., Darby S.C. Measurement Error in the Explanatory Variable of a Binary Regression: Regression Calibration and Integrated Conditional Likelihood in Studies of Residential Radon and Lung Cancer. Statist. Med. 2008, Vol. 27, pp. 2159–2176. 11. Howarth C.B., Miles J.C.H. Results of the 2001 NRPB Intercomparison of Passive Radon Detectors. National Radiation Protection Board. Chilton. 2002, Report NRPB – W21. 12. Howarth C.B. Results of the 2005 Health Protection Agency Intercomparison of Passive Radon Detectors. Health Protection Agency. Chilton. 2006, Report HPA-RPD-035. 13. Онищенко, А.Д. Влияние временных вариаций уровней радона и погрешностей измерений на оценку средних сезонных значений объемной активности радона в помещении / А.Д. Онищенко, М.В. Жуковский, А.В. Васильев // АНРИ. – 2013. – № 3. – С. 2–12. 14. Lomas P.R., Green B.M.R. Temporal variations of radon levels in dwellings. Radiation Protection Dosimetry. 1994, Vol. 56, pp. 323–325. 15. Hunter N., Howarth C.B., Miles J.C.H. [et al.] Year-to-year variations in radon levels in a sample of UK houses with the same occupants. Radioactivity in the Environment. 2005, Vol. 7, pp. 438–447. 16. Martz D.E., Rood A.S., George J.L. [et al.] Year-to-year variations in annual average indoor 222Rn concentrations. Health Phys. 1991, Vol. 61, No 3, pp. 409–413. 17. Steck D.J. Year-to-year indoor radon variation. Proc. of the 2007 AARST International Symposium Jacksonville, FL. 2008, pp. 1–11. 18. Zugui Zhang, Smith B., Steck D.J. [et al.] Variation in yearly residential radon concentrations in the upper Midwest. Health Phys. 2007, Vol. 93, No 4, pp. 288–297. 19. Steck D.J. Annual average indoor radon variations over two decades. Health Phys. 2009, Vol. 96, No 1, pp. 37–47. 20. Bochicchio F., Ampollini M., Antignani S. [et.al.] Results of the first 5 years of a study on year-to-year variations of radon concentration in Italian dwellings. Radiation Measurements. 2009, Vol. 44, pp. 1064–1068. 21. Kelleher K.A., McLaughlin J.P., Fenton D., Colgan P.A. Comparison of contemporary and retrospective radon gas measurements in high radon dwellings in Ireland. Proc. of 2-nd European IRPA congress on radiation protection. Paris, 2006: https://www.iaea.org/inis/collection/NCLCollectionStore/_Public/38/027/38027853.pdf (дата обращения: 02.02.2017 г.). 22. Birovljev A., Falk R., Walsh C. [et al.] Retrospective assessment of historic radon concentrations in Norwegian dwellings by measuring glass implanted Po-210 – an international field inter comparison. Proc. Radon in the Living Environment. Athens, Greece. 1999, pp. 817–827. 23. Bochicchio F., McLaughlin J.P., Walsh C. Comparison of radon exposure assessment results: 210Po surface activity on glass objects vs. contemporary air radon concentration. Radiation Measurements. 2003, Vol. 36, pp. 211–215. 24. Falk R., Almren K., Ostergren I. Experience from retrospective radon exposure estimations for individuals in a radon epidemiological study using solid-state nuclear track detectors. The Science of the Total Environment. 2001, Vol. 272, pp. 61–66. 25. Lagarde F., Falk R., Almren K. [et al.] Glass-based radonexposure assessment and lung cancer risk. Journal of Exposure Analysis and Environ. Epidemiology. 2002, Vol. 12, pp. 344–354. 26. Dicu T., Armencea S.E. (Mutoiu), Burghele B. [et al.] Retrospective dosimetry of radon gas based on the activity of 210Po in glass objects. Rom. Journ. Phys. 2014, Vol. 59, No 9–10, pp. 1067–1073. 27. Gusain G.S., Rautela B.S., Ramola R.C. Estimation of past radon exposure to indoor radon from embedded 210Po in household glass. Radiation Protection Dosimetry. 2012, Vol. 152, No 1–3, pp. 46–50. 28. Steck D. J., Alavanja M. C. R., Field R. W. [et al.] 210Po implanted in glass surfaces by long term exposure to indoor radon. Health Phys. 2002, Vol. 83, No 2, pp. 261–271. 29. Yarmoshenko I.V., Kirdin I.A., Zunic Z.S., [et al.] Indoor radon long-term variation assessment. Radioactivity in the Environment. 2005, Vol. 7, pp. 726–730. 30. Zunic Z.S., Yarmoshenko I.V., Birovljev A. [et al.] Radon survey in the high natural radiation region of Niska Banja, Serbia. J. of Environ. Radioactivity. 2007, Vol. 92, pp. 165–174. 31. Zunic Z.S., Yarmoshenko I.V., Kelleher K. [et al.] Comparison of retrospective and contemporary indoor radon measurements in a high-radon area of Serbia. Science of the Total Environment. 2007, Vol. 387, pp. 269–275. 32. 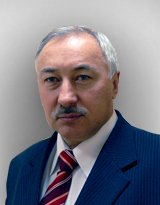 Онищенко, А.Д. Определение индивидуальной экспозиции по объемной активности радона при смешанном производственно-бытовом облучении / А.Д. Онищенко, М.В. Жуковский // АНРИ. – 2016. – № 3. – С. 2–8. 33. Peto R., Lopez A., Boreham J. [et al.] Mortality from tobacco in developed countries: indirect estimation from national vital statistics. 1992, Vol. 339, pp. 1268–1278. 34. Graham H. Smoking prevalence among women in the European community 1950-1990. Soc. Sci. Med. 1996, Vol. 43, No 2, pp. 243–254. 35. Zatoński W., Przewoźniak K., Sulkowska U. [et al.] Tobacco smoking in countries of the European Union. Annals of Agricultural and Environmental Medicine. 2012, Vol. 19, No 2, pp. 181–192. 36. Николаев, В.А. Твердотельные трековые детекторы в радиационных исследованиях / В.А. Николаев. – СПб. : Изд-во Политехн. ун-та, 2012. – 283 с. 37. Zhukovsky M., Onischenko A., Bastrikov V. Radon measurements – discussion of error estimates for selected methods. Applied Radiation and Isotopes. 2010, Vol. 68, pp. 816–820. 38. Hoffmann W., Arvela H.S., Marsh J.W. [et all.] ICRU Report 88. Measurement and reporting of radon exposures. J. of ICRU. 2012, Vol.12, No 2.